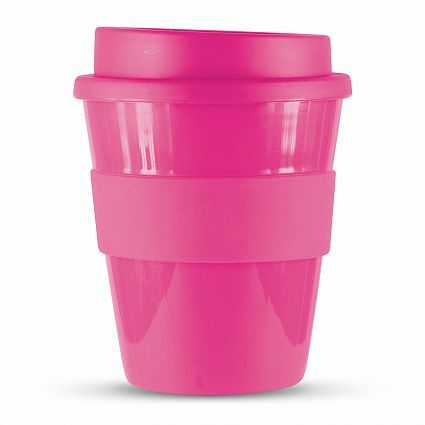 Reusable 350ml coffee cup with a heat resistant silicon band and screw on lid. Manufactured from tough BPA free, food grade polypropylene which is dishwasher safe. Design your own Express Cup with 1728 different colour combinations available ex stock. 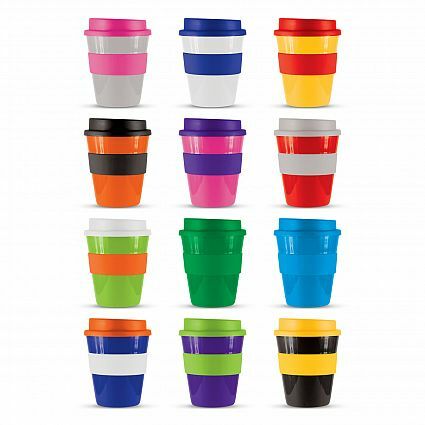 Mix n Match – Grey, White, Yellow, Orange, Pink, Red, Bright Green, Green, Light Blue, Dark Blue, Purple, Black.